I’ve told you about my big garden dreams, and lamented the lack of outdoor space at my current apartment. But we found a solution! 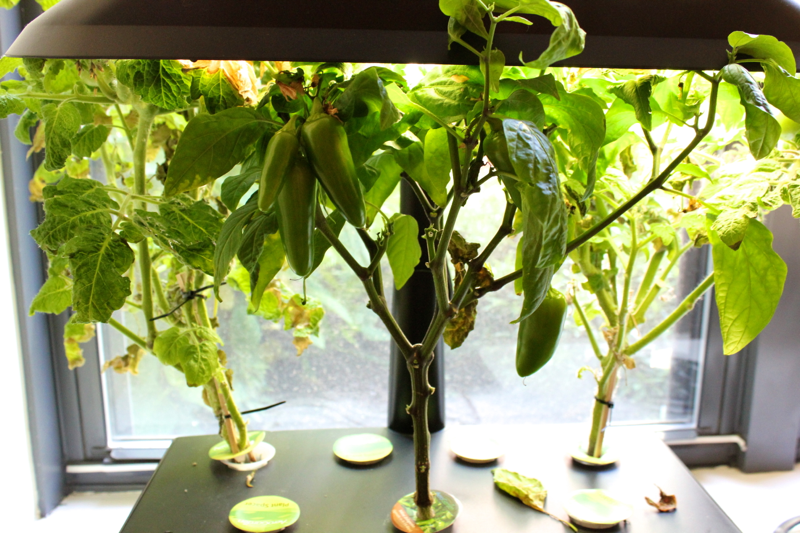 The Aerogarden is awesome because it fits on our windowsill, and it grows plants with no dirt, a minimum of effort, and it doesn’t attract bugs! 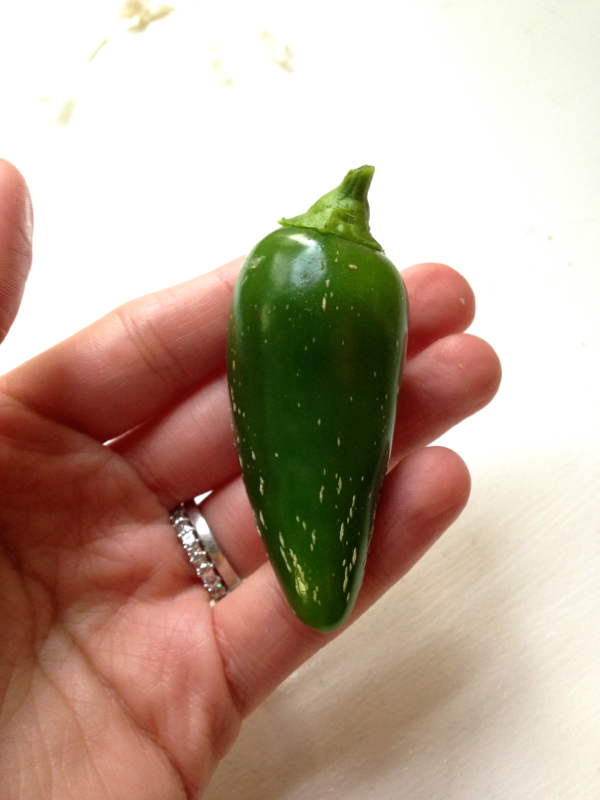 We are nearing the end of our first growing cycle- tomatoes and jalapeños, and we have had the greatest time with it. 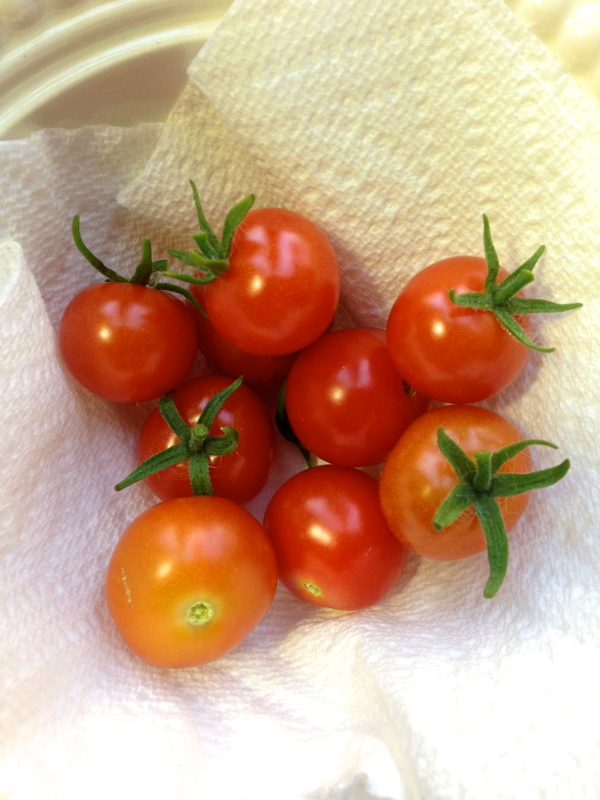 We harvested all of these tomatoes in the dead of winter, and they were so sweet and delicious! We are just harvesting our second, less-numerous batch now. The plants grow from seeds, so they start out as the tiniest little sprouts. 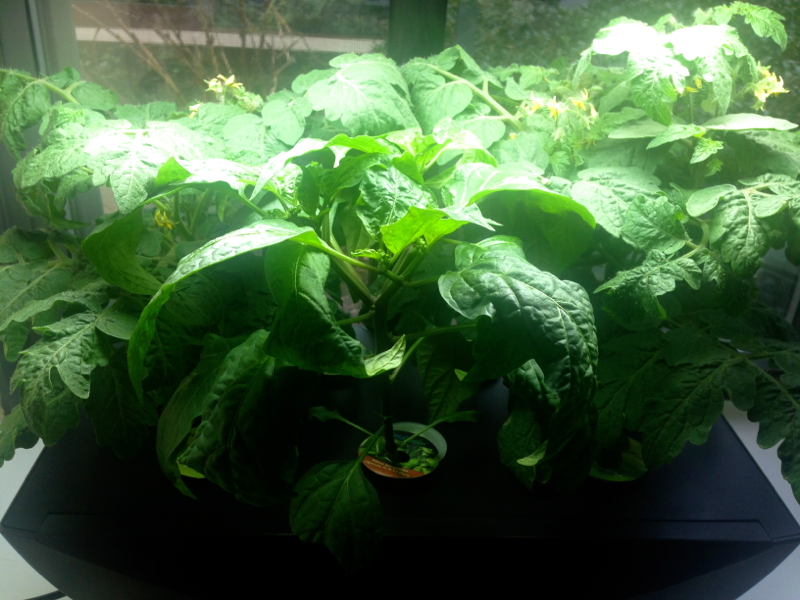 But with the help of bi-monthly liquid nutrients (plant steroids), the sprouts grow quickly. We had a jungle before we knew it. The tomatoes filled out first, with their cheery yellow flowers. 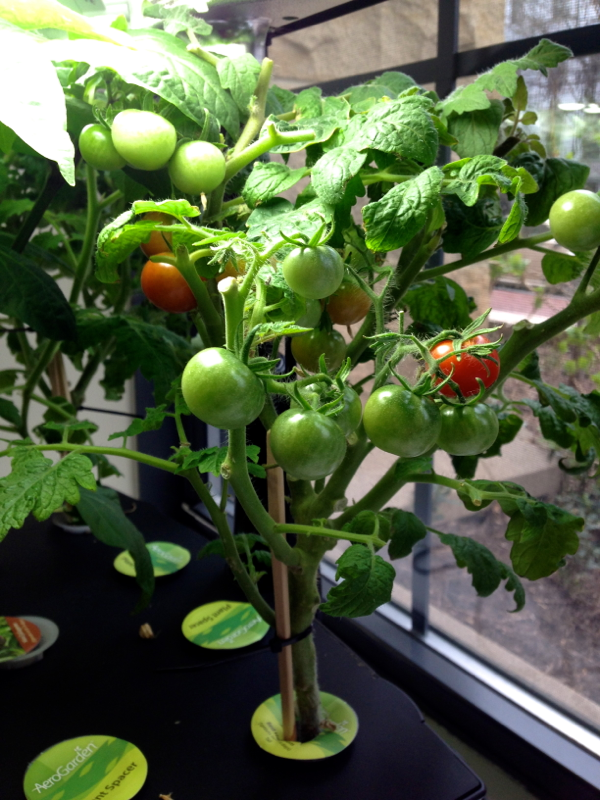 We gave the tomato plants a few shakes every day to encourage pollination, and tiny green tomatoes started to appear. They got bigger and bigger, and then they turned red. And we ate them! The jalapeños weren’t far behind the tomatoes- the plant grew pretty, white, bell-shaped flowers. I had to pollinate each flower with the tip of my finger to get any jalapeños to grow, but once they started, they couldn’t be stopped! I’ve used the jalapeños in a batch of chana masala, and a few recipes that I have yet to share with you. They are very spicy, and sautéing them makes the air burn our throats. It’s good stuff! 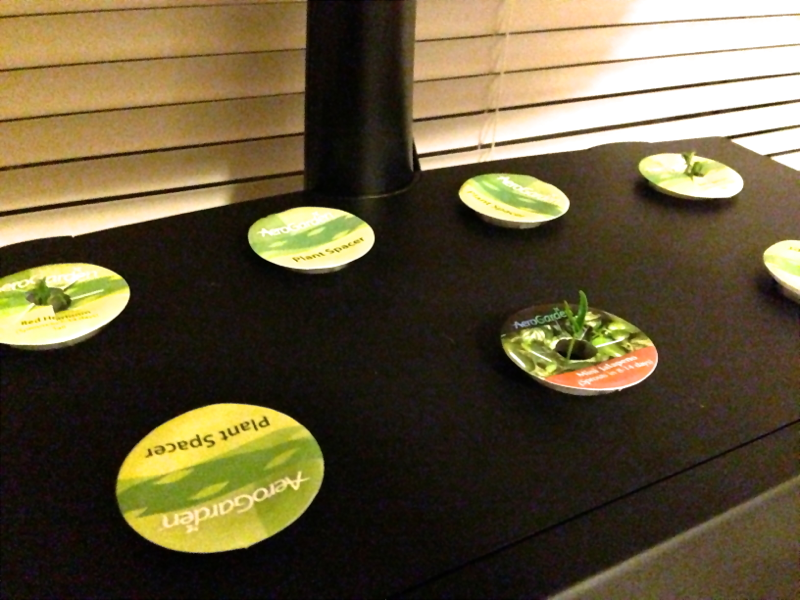 The Aerogarden does require a degree of maintenance. The plants drink a ton of water, and I give it a full pitcher every two days. I was very diligent about pruning the plants in the beginning, but their exponential growth made it difficult to keep up. The plants do a good job of dropping their dead leaves and branches themselves. The other downside to the Aerogarden is that its motor is somewhat loud. In a small space, it can get irritating. Overall, however, I love it. Harvesting the tomatoes and peppers has been so satisfying, and I can’t wait to plant the herbs we have on deck next. I hope your summer gardens are off to a great start! I didn’t know you had a green thumb. Your veggies look beautiful. Hope they don’t obstruct Stella’s view. I’ve often heard of Aerogardens but never actually saw one or “knew” anyone that tried it. It looks like a perfect way to have freshness on hand. Too bad about the noise though. Although, I must admit, the air conditioning in my house is too loud too!!! 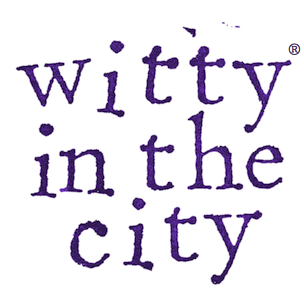 The air conditioner, the wine cooler– NEVER ANY PEACE!